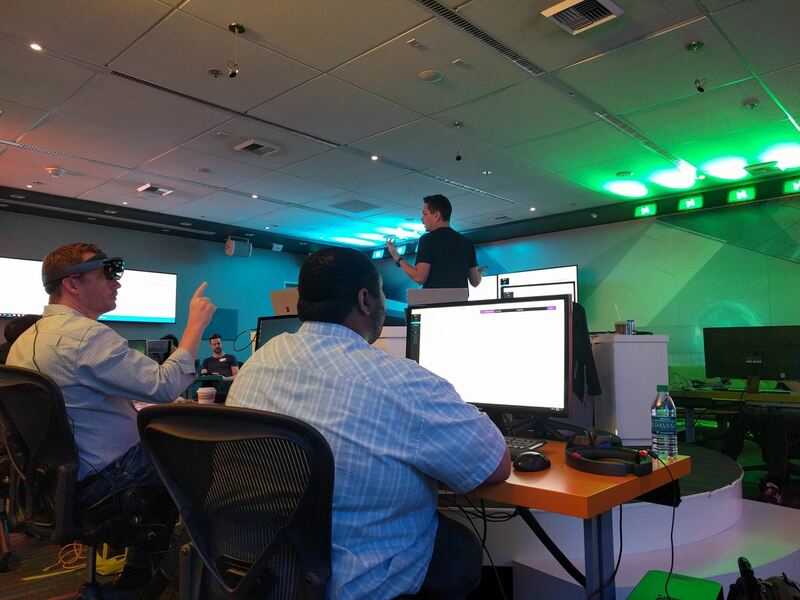 At Build 2017, the annual developer's conference, Microsoft featured a Windows Mixed Reality Academy. This class was designed to get a developer started creating Mixed Reality experiences quickly. For those of us already developing for the Microsoft HoloLens, while the class — which is now available on the Microsoft website — did offer our first real chance to work with the new Acer HMD, there was not much depth. The most exhaustive part of the live tutorial was the setup process. A process that most of us doing this type of development can do in our sleep, at this point. While that is not to say I did not learn anything from the multi-hour course — a fun and enjoyable experience for sure — new details were, shall we say, thin on the ground. It became apparent that the Windows Mixed Reality Academy was intended for developers that might be looking into moving toward Mixed Reality development as opposed to those already there. To be fair, there is only so much you can do in a 3 - 4 hour period. 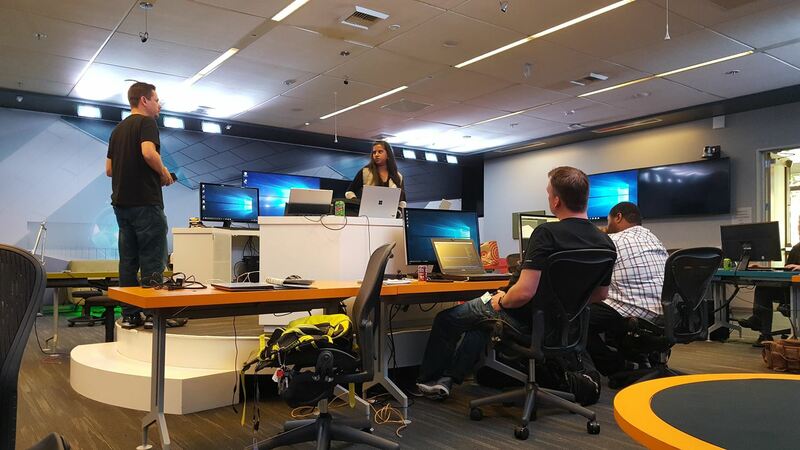 A few weeks after coming back from Build, I received an invitation to come out to Microsoft Headquarters in Redmond, Washington for what was termed a Mixed Reality Academy Developer Deep Dive. The event would take place over three days and had a reasonably intense schedule. As this sounded like something I would relish, of course, I accepted. After arriving at the gorgeous Microsoft campus that morning, I am given a guest badge and pointed to the room I will spend the next 3 days. Upon entering the room I feel as though I have just stepped into some portal. I am standing in the exact same room that I was in for the Mixed Reality Academy at Build — just in a completely different location. It turned out to be the model they used for the Build version of the Academy. But still déjà vu. Microsoft had invited a collection of other developers. Many of which were familiar faces from the development community. Sean Ong — YouTuber and author whose HoloLens book was released while we were at this event. Jesse McCulloch — the originator of the HoloDevelopers Slack, and NR50 Member. Lucas Rizzotto — Award winning and rather prolific MR developer. Michael Reed — Creator of Practical Analytics. There were a variety of new faces, to me, as well. About one-half of the class was from Australia. Including one member of the Unity team, who ended up instructing for a portion of one of the days. This was unplanned, completely improvised on his part, and amazingly useful. While what we experienced at Build was a very canned, overly simplified-for-time tutorial. This version of the WM Academy was anything but that. With the smaller class size, our instructor, Jared Bienz — who had a pretty crammed packed schedule planned for us — was great at being flexible. There were obviously things that he wanted and needed to teach us, but he did a fantastic job of listening to the subject and quality of questions and using that to inform the direction of lessons for the rest of the day. We would stop regularly and ask questions. Many were very detailed and technical questions. As Bienz reached a critical mass of questions he couldn't answer — either because he did not know, or because he simply could not, as we were not under NDA — he came up with the idea of having someone from the engineering and marketing teams come out the next day to answer questions. The next day, in addition to the scheduled instruction, we had visits from two NR50 members, Vanessa Arnauld (pictured above), and Neeraj Wadhwa (see cover image). These were Q & A sessions where we were allowed to get down and dirty on subjects like spatial mapping, spatial understanding, and world anchors. Vanessa and Neeraj answered what they could, and did fantastic jobs of dodging the ones they couldn't. We even had HoloLens development power house, Rene Schulte, from Valorem — who just happened to be in town — stop in and hang out for a few hours. The final day we had Angel Muniz walk us through optimal approaches to 3D art. Another highly useful segment for many that were there. Often as a developer, it is on us to find answers to the questions that arise as we are working on a project. If we are lucky — as is the case with the HoloLens — maybe there is a community built up around the hardware or software that we are working with. And of course, depending on the size of the community, the chances that someone in said community has seen or fixed the problem we are trying to solve can vary widely. In many cases, though, there is limited to no access to the people who really know the systems. Often leaving us to guess what the original developer intended in the design process — what mental metaphor or template inspired a particular design pattern. Now while this Mixed Reality Academy Deep Dive does not completely fix those problems, it does a good job of seeding much of the information that external developers are struggling with the most. It informs them so they can pass that information along. On any given day, you can look at the HoloDeveloper Slack, and you will see Jesse McCulloch answering questions in the #help channel. And now he is that much more informed. Sean and I have both authored book on HoloLens development and are now a bit more clear in areas that we might have struggled with. The Microsoft team told us this was a pilot program. One that I found to be a great success and hope to hear soon that they are continuing it. If you get an opportunity to go to one of these, do it. Everyone that went that I have talked to about it agreed that this was well worth the expense of a flight and stay in Seattle.